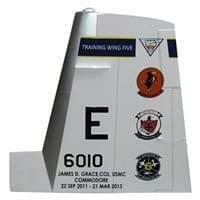 Your hand-carved and painted mahogany wood aircraft tail flash will include squadron markings, any patch, tail number, and any three lines of text. Your purchase includes a lifetime warranty against cracking or fading, with our 100% customer satisfaction guarantee. All you need to get started is the type of aircraft. We will lead you through the design process. Don't worry, we will ask the questions to make your tail flash perfect! Select a tail flash type below or Design Your Own from scratch. Order now, and let’s get started. You don't need all the info. Give us what you have, and we'll take care of it…we do it all the time. 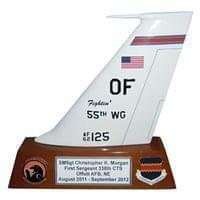 Your custom tail flash is hand-carved from mahogany wood, and painted with the smallest details. Once complete, we will email digital photos for your final approval. You can still make changes! Your beautiful custom tail flash is carefully packaged, and shipped anywhere in the world. Yes, we have your aircraft type, and your squadron! 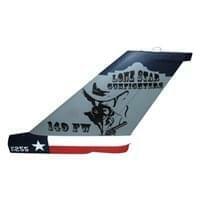 We will replicate any tail flash plaque down to the finest details. 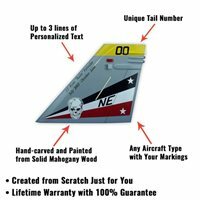 Exact markings, tail number, as well as up to three lines of personalized text… it will be perfect! 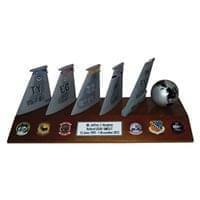 Want to represent more than one aircraft? 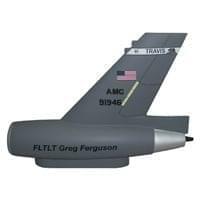 We also offer single and multiple desktop tail flashes on a beautiful wooden base with any squadron markings and up to three lines of personalized text (depending on space available). Our solid mahogany wood tail flashes are carved, molded, assembled, painted, and detailed by hand in only 9-10 weeks. 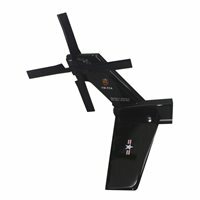 We will authentically reproduce your custom airplane with precision and accuracy. 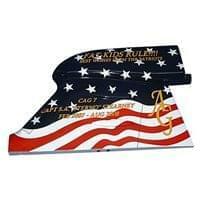 These are a great gift idea with rush production available in 4-6 weeks. Let's get started!